As Fun as a Plane of Psychopathic Murderers and Rapists! 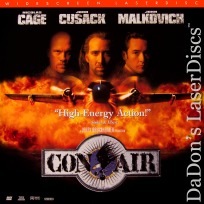 Con Air 1997 - 115 min. 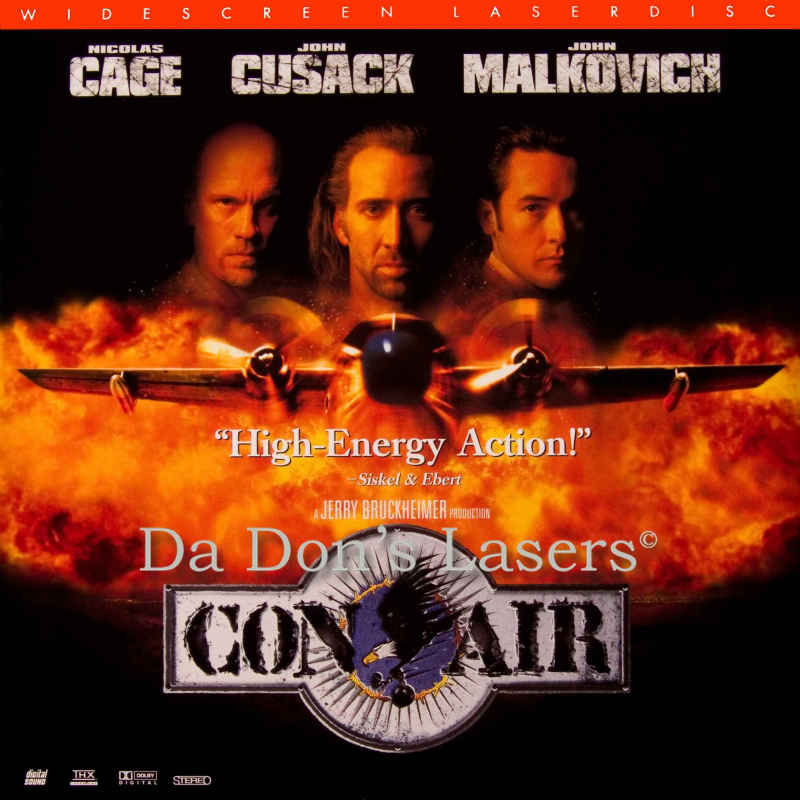 - Color Genre: Action Rated R Country: USA LaserDisc Movie Storyline: Nothing makes good-guy non-recidivist offender Cameron Poe happier than the thought of returning to society, where his angelic wife and the equally angelic little girl he's never known are waiting. 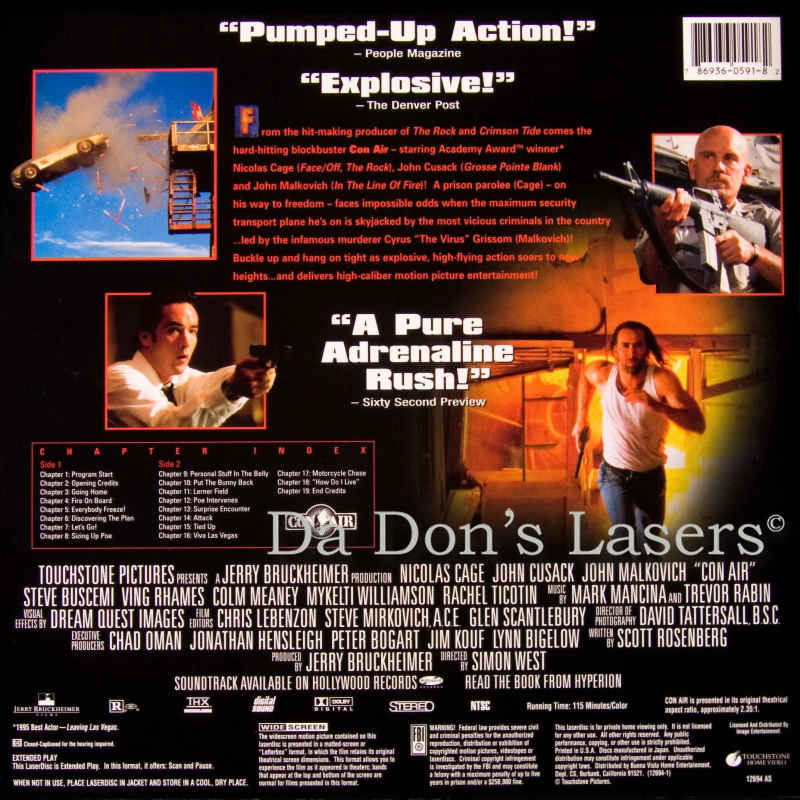 And nothing makes him angrier than the passel of psychopathic murderers and rapists aboard his prison transport plane--especially when, under the direction of ringleader Cyrus "The Virus" Grissom, they revolt and hijack their own plane. Fortunately, our hero's been trained by the Army as an elite one-man-fighting-machine, and a dogged Justice Department agent waits on the ground to help him bring the fanatical fly-boys in for a bloody crash landing--in Vegas! 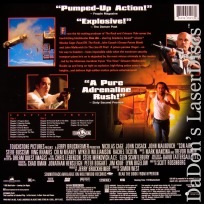 A hyperactive Molotov cocktail blended from the frenetic efforts of high-octane action producer Jerry Bruckheimer ("The Rock"), hipster-schtick screenwriting specialist Scott Rosenberg, and music video director West. Academy Award Nominations: 2, including Best Original Song ("How Do I Live"), and Best Sound.